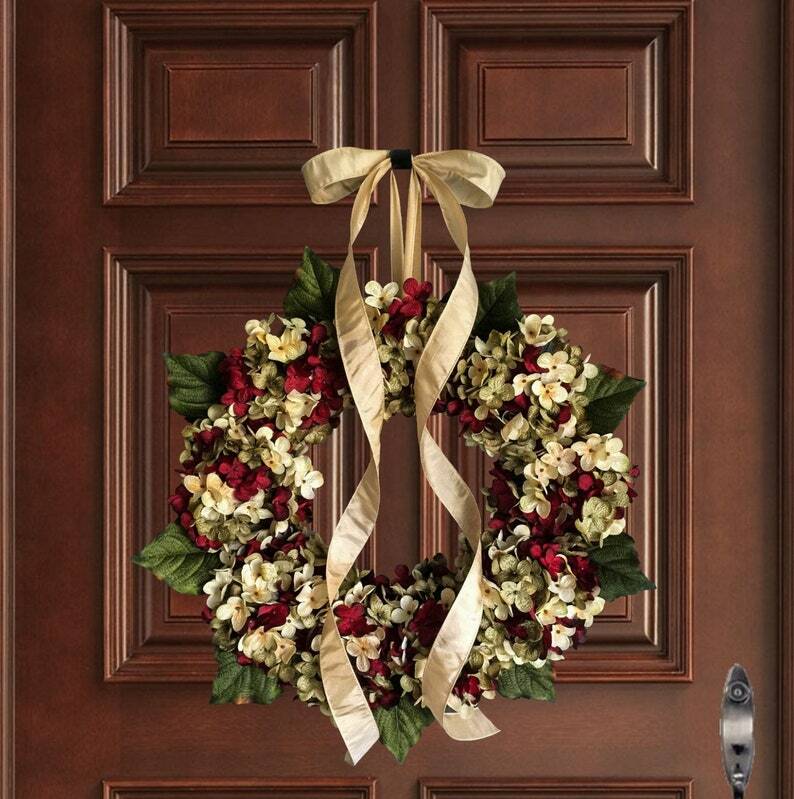 2018 Best Selling Wreath for Front Door! 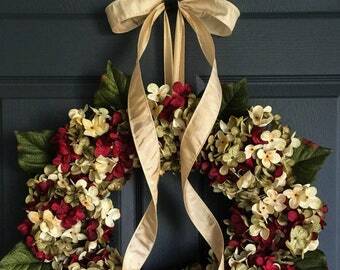 A Front Door Wreath with an incredible blend of dark burgundy red, green, and cream artificial hydrangea flowers. This is a handmade wreath using artificial blooms with hydrangea leaves on a natural grapevine base. The wreath is finished with a satin ribbon. 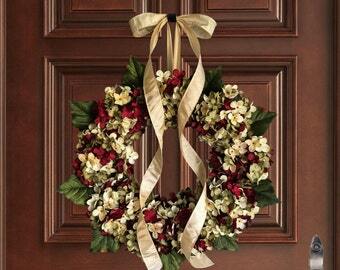 The wreath is designed and handmade to last for seasons to come. Beautiful wreath. Thank you so much. I love it!! The wreath is absolutely beautiful. The colors are vibrant and it's very well made. It's awesome. The wreath is absolutely BEAUTIFUL - I just love it . .